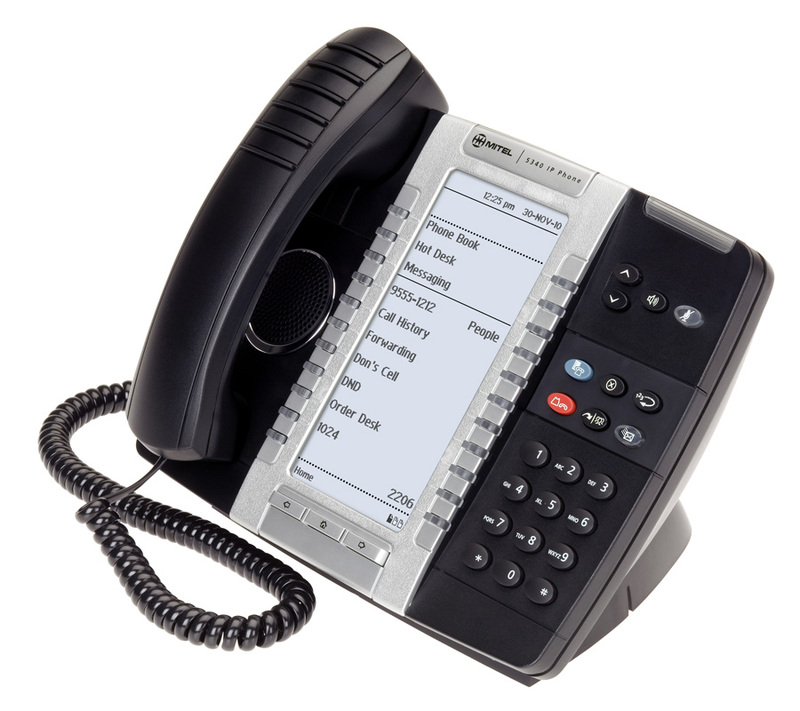 The Mitel® 5340e IP Phone delivers easy-to-use, one-touch access to many phone features and applications in an exciting next-generation desktop device. A large backlit display, productivity applications, and programmable keys in an enterprise-ready IP phone solution. The 5340e IP Phone is a full-feature enterprise-class telephone, the dual-mode 5340e IP Phone provides a large backlit graphics display with 48 programmable self-labeling keys, six intuitive call state sensitive softkeys, superior sound quality with wideband audio, and a built-in HTML toolkit for desktop applications development. The 5340e IP Phone is ideal for enterprise executives and managers, Hot Desk users, Teleworkers, and Contact Center agents and supervisors.